Marine Audio: Why Chose Ralph's Radio in Vancouver? You Are Here: Ralphs Radio Ltd. Marine Audio Marine Audio: Why Chose Ralph’s Radio in Vancouver? Ralph’s Radio has been serving the Vancouver area since 1949. We have developed a solid reputation amongst boat owners for serving their marine audio needs. We’d love to walk you through some of the reasons why boat owners and their friends come back to Ralph’s Radio year after year. We take a great deal of pride in our brand-selection process. Unlike some of our competitors, our process is much more involved in attempting to quantify value or “bang for the buck”. We evaluate brand goals, support offerings and product availability. Pricing is secondary to performance. Products that we use have to be reliable and offer outstanding sound quality. When we suggest a product to our customers, they are putting their trust in our hands. We have to know that we can stand behind the brands we sell. We aren’t just a car stereo shop that dabbles in the odd boat installation – we are dedicated to the marine electronics industry. We can develop and install an audio system that will rival a rock concert on your wakeboard boat or something simple and elegant for a sailboat. We have video solutions with as many channels as you can conceive that maks keeping an eye on everything easy. Finally, we work closely with Telus Mobility, Inmarsat and Iridium, so we can keep you connected almost anywhere on the planet. No matter how outlandish your request, we would love to hear what we can do for you. The goal of every member of the Ralph’s Radio team is to offer our customers the best customer service experience possible. From the initial greeting through the process of understanding a client’s goals and on to any after-sales support that might be required – every step matters equally. Modern electronics are elaborate, so ensuring that our clients are comfortable with everything they have purchased is critically important to us. Our staff is trained to develop a complete solution for a customer, not just sell them a product and shoo them out the door. We balance thoughtful system design, careful product selection and exacting installation carefully and equally. 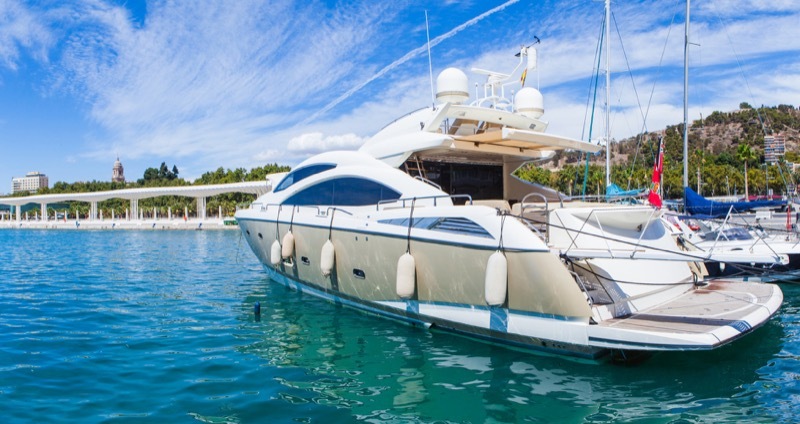 We have a dedicated fleet of mobile marine audio installers. If you can’t bring your boat to us, then we can come to you. Our installers are versed in all aspects of installation, fabrication and tuning. From a simple speaker installation or radio upgrade to creating custom installations with wood, fiberglass, metal and composite materials, our team can do it all. Marine Audio in Vancouver. The Choice is Clear. If you are looking for an amazing retail experience, then drop into Ralph’s Radio in Vancouver, BC. Our customer service experts will help quantify your needs and develop a solution that meets your expectations and budget. You can also see us each year at the Vancouver International Boat Show. If you have any questions about our marine solutions, just contact Tristan Rurak.